Conservatories allow homeowners to subtly amplify amounts of light entering the home, whilst considerably increasing living spaces. Adaptable and incredibly functional, by utilising thermally efficient uPVC within their design they can offer life-long enjoyment with minimal maintenance involved. We have five uPVC conservatory styles on offer; the period-inspired Victorian conservatory, the contemporary Lean-To conservatory, the classic Edwardian conservatory, the space-maximising Gable-End conservatory and the custom-built Bespoke conservatory. Incredibly secure and thermally efficient, all Leamore conservatories are built from the ground up – from the concrete base and brickwork right through to the roof. 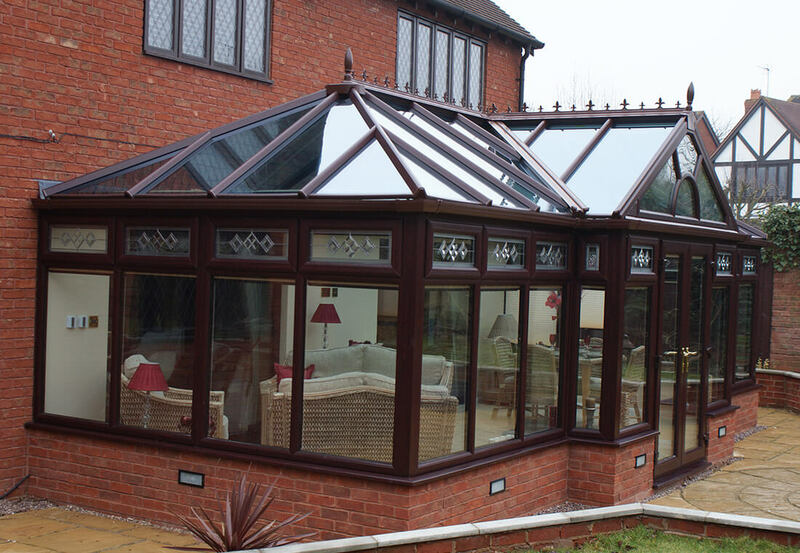 With strength and durability in mind, all of our conservatory roofs are constructed from aluminium and ring beam cladded with uPVC. We also glaze our conservatory roofs with tough 35mm, 5 chamber triple skin polycarbonate sheeting as standard, which is 200 times stronger than glass. 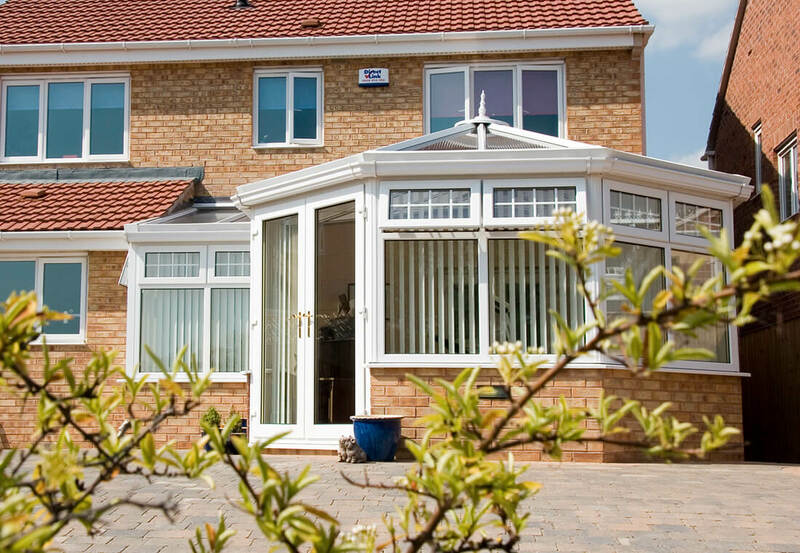 Whether your home is small, medium or large and traditional, heritage or modern, we have a conservatory style that will complement and enhance it for the better. 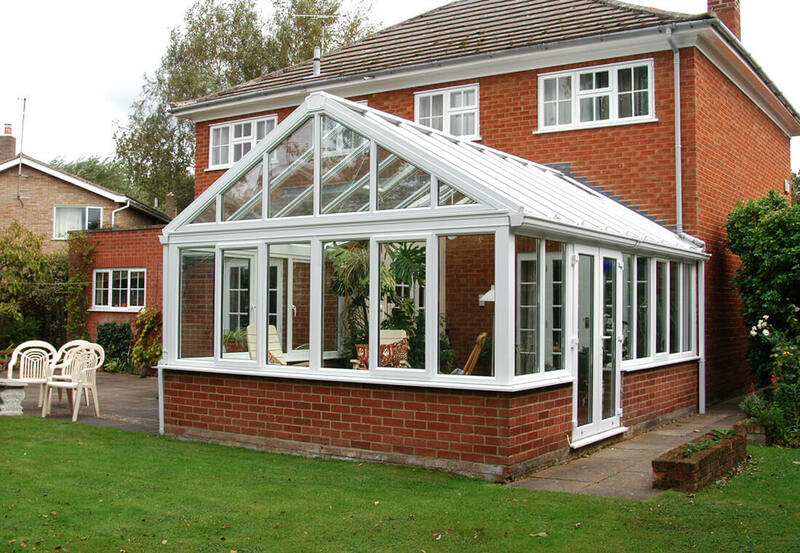 Edwardian conservatories offer subtle, symmetrical lines, with flat walls that maximise usable space. Renowned for its sloping pitched roof, Edwardian conservatories provide a ‘vaulted’ roof effect that impressively bathes the space in natural light. 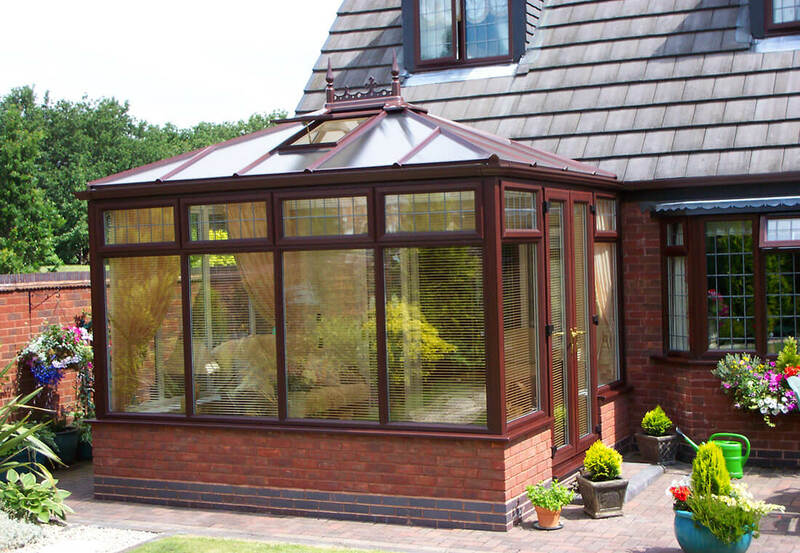 Enhance your homes Victorian charm further with a period-inspired conservatory. Renowned for its ornate details, curved or angled front and steeply pitched roof, Victorian conservatories intelligently adapt to any surroundings. The Gable-End conservatory style is recognised by its upright gable fronted roof, hence the name! Skilfully maximising available floor space, the Gable-End design is influenced by a combination of the Victorian and Edwardian conservatory styles. If you’re looking to maximise limited space that’s available to you, the Lean-To conservatory is a straightforward & minimalist style that links indoor and outdoor spaces with ease. 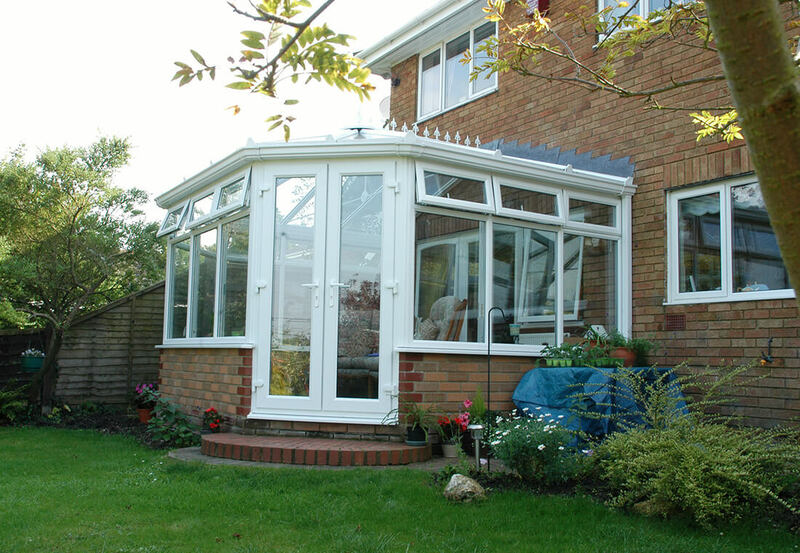 Create a bespoke conservatory by mixing and matching one, two or more conservatory styles together. The sky really is the limit, with an array of finishing touches to completely tailor your conservatory space to your individual identity. Robust uPVC frames effectively resist warping, discolouring, cracking and rotting. 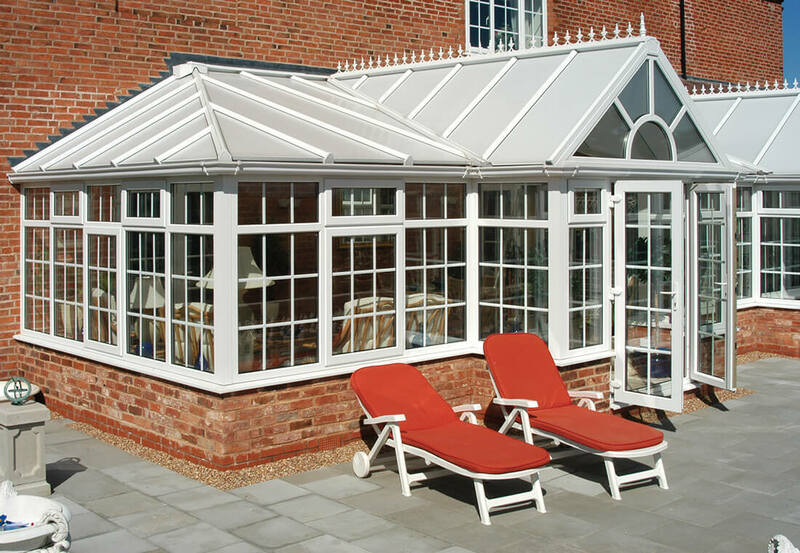 uPVC makes an excellent material for conservatories, as it efficiently resists troublesome issues such as warping, discolouration, cracking and rotting. Their remarkably durable and enduring qualities are only enhanced further when coupled with Leamore’s exceptional conservatory installation skills. 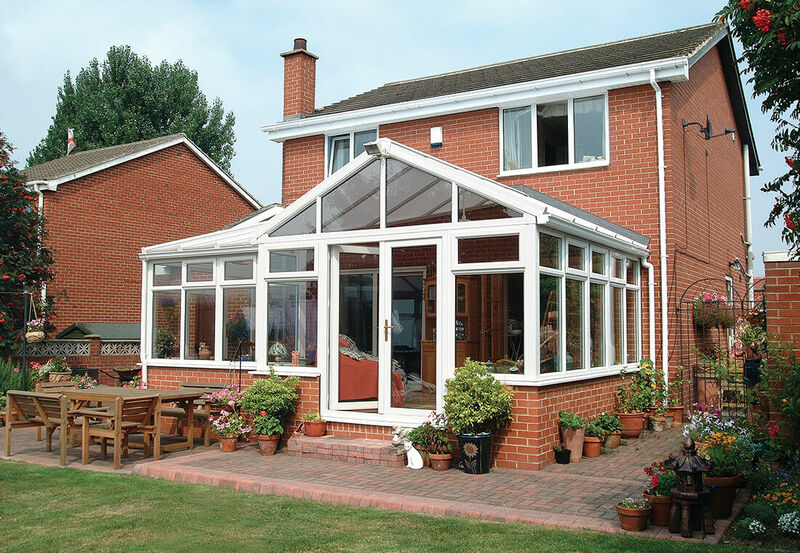 The security elements of your new conservatory play a significant role in your final decision too. Our highly secure conservatories will allow you and your family to sleep safely each and every night, following their swift installation. 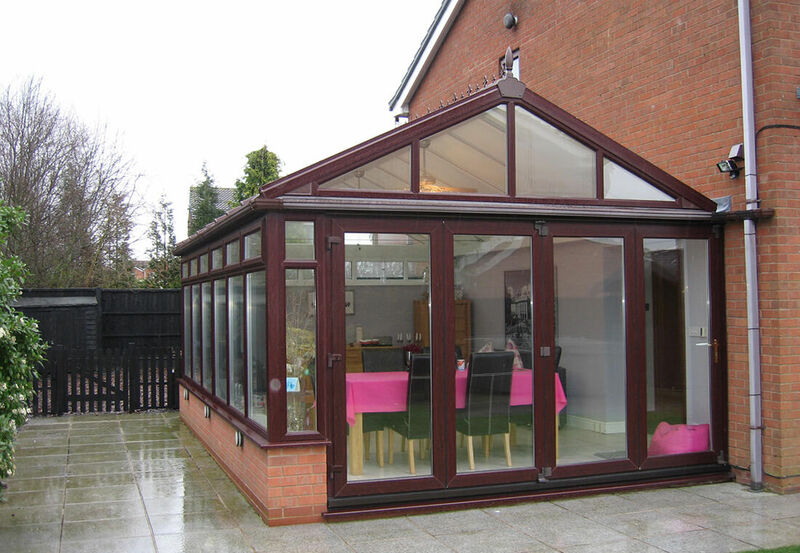 Personalise & upgrade your new conservatory space further, including glazing, flooring, roofs & electrical work. We understand the importance of putting your individual stamp on your dream conservatory installation, which is why we can provide a plethora of finishing touches. These include glazing options in a variety of thermally efficient and aesthetic enhancing options, e.g. glass and polycarbonate, a wide range of colours & styles to choose from and attractive flooring options to complement the rest of your property. Imprint your own individual style onto your new uPVC conservatory, with a wide range of classic and contemporary finishes to choose from. Unearth a plethora of technical details on our classic and contemporary conservatory collections, by browsing through the following brochures. 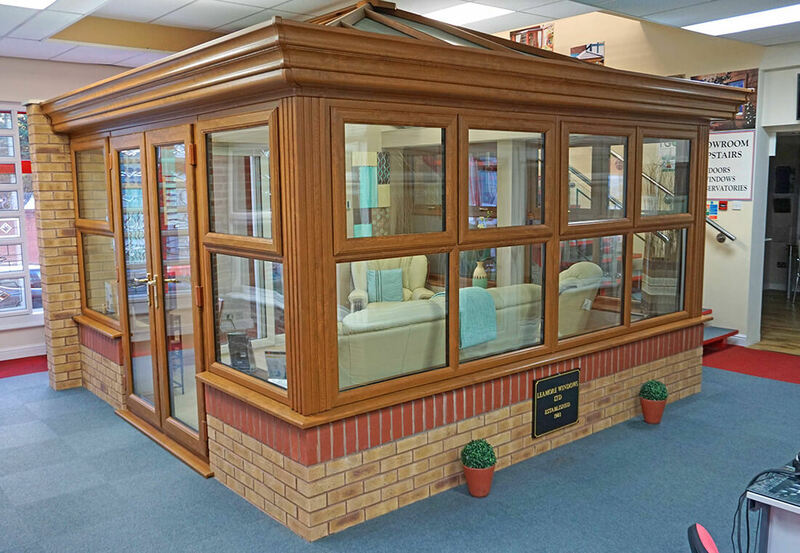 Before visiting our Walsall showroom, have a browse through our impressive conservatory installation samples.